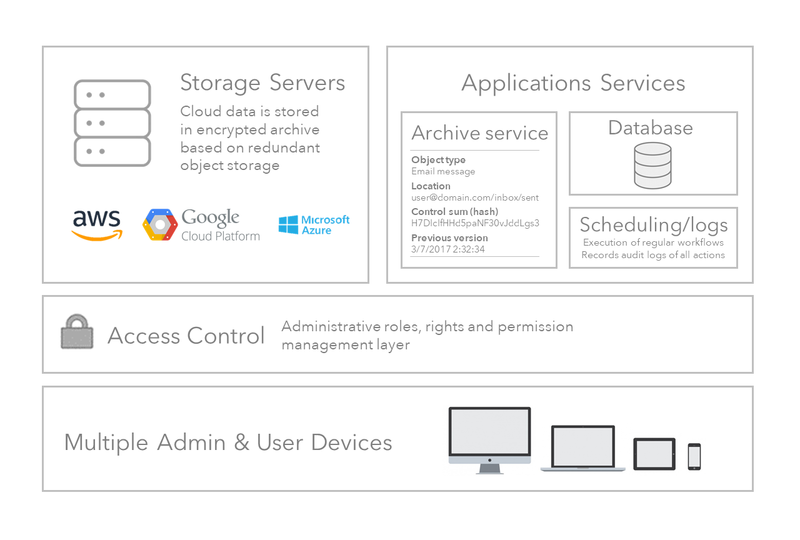 Backup, search & recover Google Apps data with cloud-native platform leveraging AI tech. Nothing to install or maintain - Afi will auto-discover user accounts and continiustly detect changes to ensure that all data is protected. Connect cloud apps in two clicks and define protection SLAs for groups of individual accounts. Afi will honor the SLA policies, and suggest solutions in case of problems. Even when ignored for months and years, Afi will autonomosly deal with errors and changes in infrastructure, continuing to protect and retain your cloud data as defined by SLAs. Based on observed events, Afi will help to disable & archive inactive accounts, onboard new users and make sure they are protected. 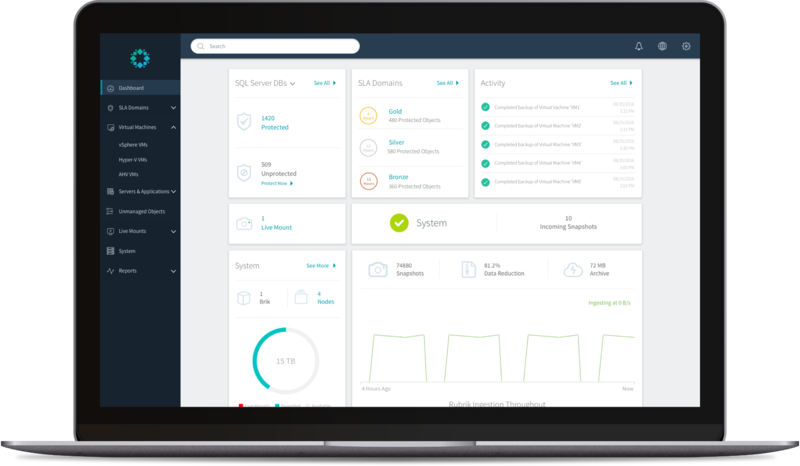 Based on new cloud-first architecture, Afi is not only more reliable than legacy backup tools, but also allows fast development of new features and addition of new cloud workloads support. 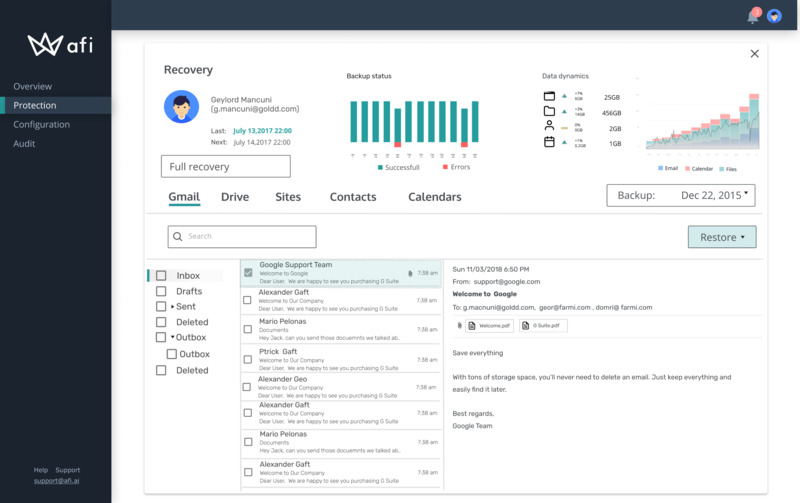 Current version of Afi Backup features full support of G Suite (with rights, permissions and other metadata). Stay tuned - we're quickly adding support of other cloud applications, including O365, Salesforce, Dropbox and other. Migrate easily between cloud applications, or maintain a replica of your cloud apps in different vendors' clouds to satisfy your business needs. AFI uses public cloud by Amazon, Google and Microsoft to store your data, which is encrypted under the 256-bit Advanced Encryption Standard (AES-256), and each encryption key is itself encrypted with a regularly rotated set of master keys. AFI uses OAuth 2.0, which is the industry-standard protocol for secure authorization. Thanks to using OAuth 2.0, the communication between cloud services is secure, as we do not need to store your password on our servers. 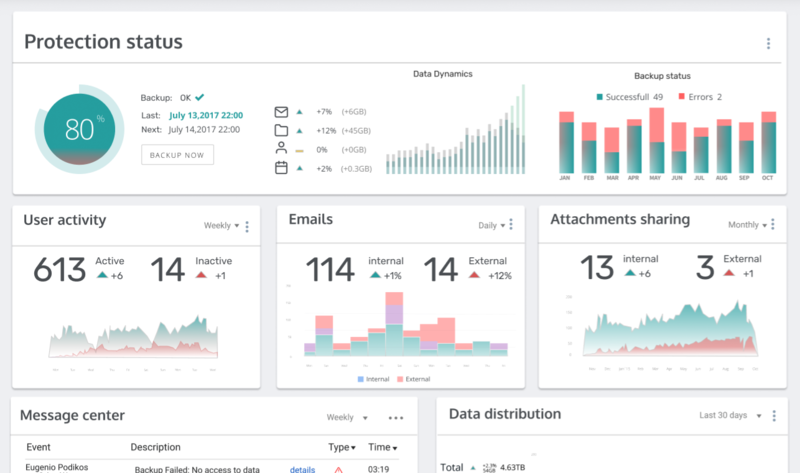 Use lightning-fast, clean and intuitive interface to easily navigate across the years of backed-up and archived data.